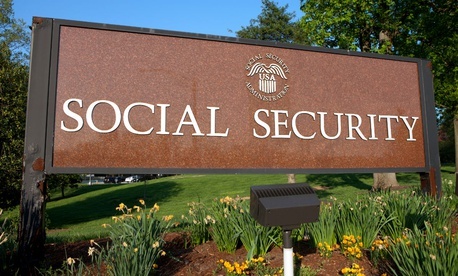 Confronted with unreliable wage and financial account reporting, the Social Security Administration has long struggled to reduce the amount of improper, or overpayments, to recipients of both retirement and disability benefits. In 2017, it fell short of its goals of a 98 percent accuracy rate, according to a report released on Friday by the SSA’s Office of Inspector General. The overpayment error in the Old-Age, Survivors and Disability Insurance (OASDI) program was $5.9 billion, with an offsetting underpayment of $294 million, auditors found. And the overpayment error in the main Supplemental Security Income program was $4.1 billion, offset by $636 million in underpayments. The mistakes in the SSI program represent about 7 percent of overall program outlays, the IG said, while the total error amount in the disability program represents just over 0.60 percent of program outlays. “SSA has not met its payment accuracy goals” of 95 percent from fiscal 2013-16 and 94 percent in 2017 for both the retirement and disability benefits program, said the report on general challenges facing the agency. In fiscal 2018, the agency recovered about $4 billion in overpayments at an administrative cost of $0.07 for every dollar collected, the report said. SSA ended the year with a balance of $24 billion in uncollected overpayments. Auditors also reviewed SSA’s efforts to comply with the various improper payments statutes and to use new debt collection tools supplied by Congress in 2015 to recover payments from individuals who received more than they were eligible for. These tools include charging administrative fees, penalties and interest, or indexing of debt to reflect its current value, as well as continuing disability reviews of individual recipients. The other management challenges included improving administration of the Disability Programs; improving customer service; modernizing information technology; securing information systems and sensitive data; better protecting Social Security numbers; and strengthening planning, transparency and accountability.